Disney’s Hollywood Studios is undergoing a major transition! Toy Story Land is open and Star Wars: Galaxy’s Edge is on the way in late fall 2019. In the past, attractions have closed with little notice, and there are plenty of rumors about what the future may hold for Hollywood Studios. Many guests consider Disney’s Hollywood Studios to be a half day park, meaning that everything can be experienced in just a few hours. Disney seems to want to change that perception. No matter what lies down the road, here are five attractions that we hope will stick around forever. The live shows at Disney’s Hollywood Studios offer something for everyone. Fans of classic Disney movies will want to see Beauty and the Beast – Live on Stage and Voyage of Little Mermaid. Jedi Training Academy allows kids to test their lightsaber skills and battle Darth Vader. Action fans will want to see Indiana Jones Stunt Spectacular! Don’t forget Fantasmic!, which is a great way to end your day. Some of the shows at Disney’s Hollywood Studios are rumored to be ending in the future. Let’s hope that those rumors don’t pan out. This classic attraction (formerly known at Walt Disney: One Man’s Dream) has recently undergone some changes! Walt Disney Presents continues to offer guests a chance to view the history of Walt, but now has the addition of a space for guests to preview what’s on the horizon. Models such as Star Wars: Galaxy’s Edge and Mickey and Minnie’s Runaway Railway attraction are available to preview. We’ve always loved this informative collection of memorabilia, designs, and historical models about Walt. Now we get to experience the past, present, and future of Walt Disney! It’s rarely crowded and provides a great way to cool off as it is totally air-conditioned. 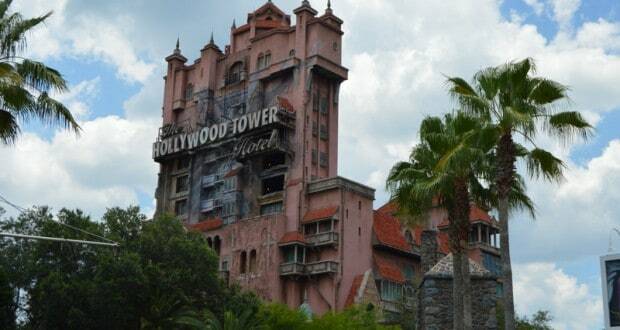 Other parks have drop towers, but they are nothing compared to Tower of Terror. The details are half the fun, you’ll really feel as if you’ve stepped into an episode of The Twilight Zone. Once you board you won’t know what to expect, since the ride is random. You will drop 13 floors, but how many times and whether or not the ride makes it all 13 floors each drop will change each time you get on. If you don’t want to ride don’t worry, you can go through the queue line and opt out as the rest of your party boards. You can then experience the details without the drop. Disneyland’s Tower was transformed into a Guardians of the Galaxy attraction. We are thankful this attraction will be located in Epcot at Walt Disney World, as we want the Tower of Terror to stay as is! There is a reason that Toy Story Mania! is one of the most popular rides at Walt Disney World. It’s a blast! You will try your hand at carnival style games, all in 3D. You’ll attempt to beat the other people in your ride vehicle for the high score, and you might even have the highest score of the day. The fact that characters from the Toy Story movies help and encourage you along the way makes it even more fun. The line grows long quickly, so try to ride early if you don’t have a FastPass+.